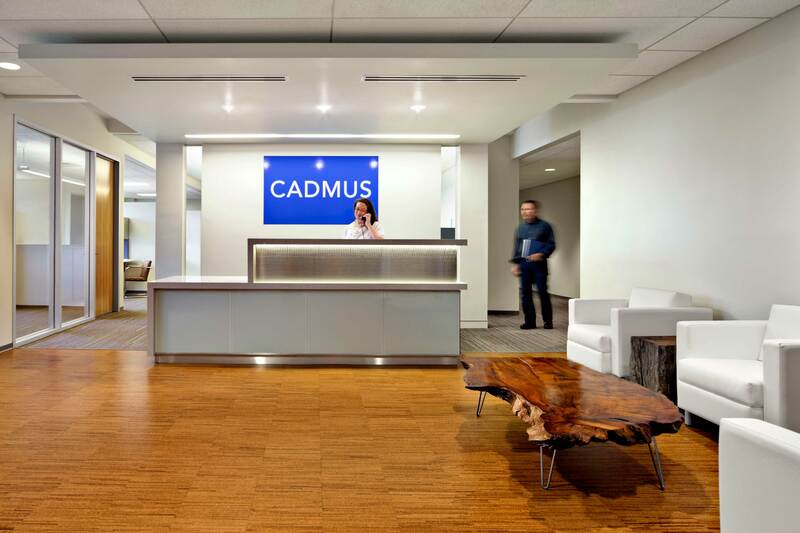 Recognized as a leading environmental and energy consultancy, the Cadmus Group was looking for a new corporate headquarters to showcase what is important to their business and clients. 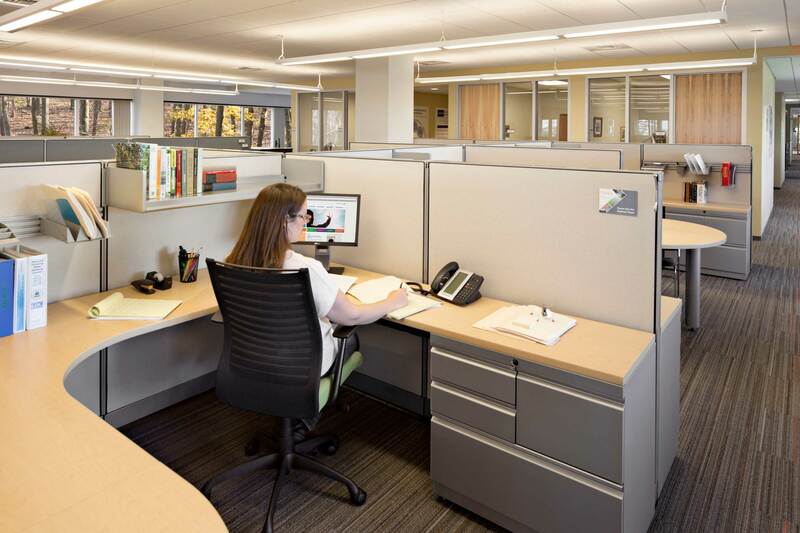 After finding an office backed by woodlands in Waltham, MA, the design could then further be inspired by the company’s quest for sustainability. The space is designed with energy efficient and water saving systems, capable of being monitored for testing purposes. Incorporated into the design are locally harvested reclaimed woods, high recycled content building materials and finishes, and low-VOC materials. 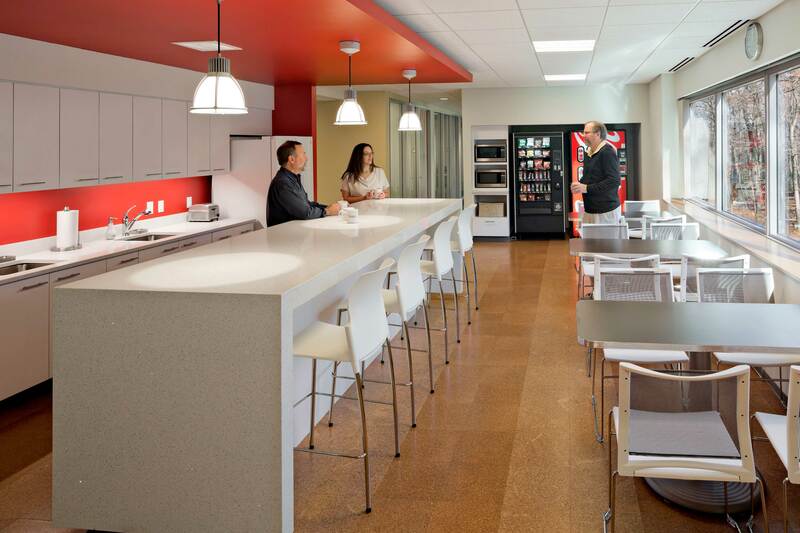 Achieving LEED Gold, the office space was designed for the continued growth of the firm. In addition to more collaborative, meeting and training areas, the space now offers a first-of-its-kind energy efficiency laboratory, allowing the group’s technical staff to offer testing and demonstration services to their energy clients.